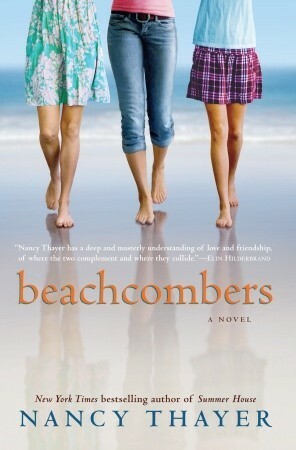 This week the book beachcombers by Nancy Thayer caught my eye. It was on a display with a sign that was a picture of a beach with the world 'escape' on it. Nancy Thayer is like the queen of beach reads so the display had a number of her books and I just randomly picked this one. I might be checking this one out on my way out of the library today! "Look," their mother said to them. It' was late October, and Danielle had brought her daughters to Surfside, the beach that faced, unprotected by bulkhead or harbor or jetties, the immense sweep of the Atlantic Ocean. Jim introduced her to everyone. "This is Marina Warren. She's from Kansas City. She's renting our cottage for the summer and she wants to learn all about the island." Abbie Fox hasn’t seen her father or two younger sisters in almost two years. But now Lily, the baby of the family, is sending Abbie urgent emails begging her to return home. Their middle sister, Emma, has taken to her bed, devastated after losing her high-powered job and breaking up with her fiancé. Also, Lily is worried that the beautiful, enigmatic woman renting their guesthouse has set her sights on their widowed father. The Fox sisters closed ranks years ago after the haunting, untimely death of their mother, but seeing their dad move on with his life forces each of them to take stock. Over the course of the summer, the sisters’ lives grow as turbulent as the unpredictable currents off the New England coast: Abbie breaks her own rules in the name of love, type-A Emma learns a new definition of success, and strong-minded Lily must reconcile her dreams with reality. At summer’s end, these unforgettable women will face profound choices—and undergo personal transformations that will surprise even themselves.